What is the purpose of life from the soul’s perspective? What’s the best way to understand the afterlife? What determines how and when we die? When does our spirit leave our body at death? Why do the dying often wait until their loved ones leave the room before they pass? Do we continue to feel our pain, sickness, or sadness after death? Will I remember who I am and what I’m like in the afterlife? If our brain is dead, how can we be conscious after death? My loved one was talking or seeing someone in spirit hours before he died. What was happening? What happens to people who are sedated by morphine when they die? What can I do to help my loved one’s transition into the spirit world? Do we instantly know that we’re dead when we die? What happens when a person dies at such an early age that they don’t have any deceased loved ones in spirit to greet them? Will I be able to communicate with the living after I die? What’s the difference between the afterlife, heaven, the hereafter, the spirit world, and the other side? Why has no one proven that the afterlife exists? What’s it like in the spirit world? What do we do in the spirit world? If there is an afterlife, does that mean there’s a hell? Are we judged or punished for our wrongdoings when we arrive in the afterlife? How do our religious beliefs and practices affect us in the afterlife? What happens to atheists in the afterlife? Which religion is closest to the truth? Is death permanent, or do we have more than one life? Can my loved one see or hear me from the spirit world? Are our deceased loved ones watching over us from the spirit world? How can my loved one in spirit watch over my sister and me at the same time? My father died before I had my baby. Is Dad aware of his grandson? Who will greet me in the spirit world when I die? Which husband will greet me when I cross over if I’ve had more than one husband? Will I always be with my loved ones in the afterlife? Will I still be married to my spouse in the afterlife? Do we continue our spiritual growth in the spirit world? What’s the difference between a spirit, a ghost, and an angel? What’s the difference between our spirit and our soul? Can a soul have more than one spirit? Can cats and dogs see spirits? Are my loved ones in spirit now my spirit guides? How can I communicate with my spirit guides? In what ways do my spirit guides communicate with me? What do we look like in the spirit world? What age are we in the spirit world? Are children who died still children in the spirit world? Will I retain my personality in the spirit world? What does it feel like to be a spiritual being? How do spiritual beings communicate with other spiritual beings? What if a spirit at a lower level wants to communicate with a spirit at a higher level? Do people in spirit attend their own funerals? Does my loved one in spirit see everything I do, even in the shower and bedroom? How can I assure my privacy from loved ones in spirit? Is there anything I can do to help my loved one in spirit? Do prayers have any positive effect for our loved ones in spirit? How long does my loved one in spirit want me to grieve? How does my spouse in spirit feel about me getting remarried? How does my child in spirit feel about me having another child? Does my loved one in spirit want me to solve his/her crime? Does my loved one in spirit want justice? Does my loved one in spirit seek vengeance? Would my loved one in spirit like me to create a foundation in his/her name? My loved one and I never discussed it. Did I make the right choice to cremate (or not cremate)? How do I know if my loved one in spirit wants me to keep his/her ashes or spread them somewhere? Is my loved one in spirit satisfied with his/her gravestone (headstone)? How often does my loved one in spirit want me to visit his/her gravesite? Is it okay to split my loved one’s ashes so that other family members can spread them somewhere? Does my loved one in spirit want a funeral (memorial service)? Does my loved one in spirit forgive me? We argued shortly before her death; is she still angry with me? Can my loved one in spirit hear me when I talk or pray to him/her? Why can’t I see or hear my loved one in spirit? Is there an appropriate time to communicate with loved ones in spirit? How often is it appropriate to talk to or call on my loved one in spirit? Is it wrong to ask my loved one in spirit to help me with little requests like finding my missing keys? Can my loved ones in spirit visit me in my dreams? Why did my loved one in spirit visit my sibling in a dream, but not me? Should I get a reading with a psychic medium? How might a spirit communication reading benefit me? What signals or communications might my loved one in spirit be trying to send me? Might my child’s imaginary friend actually be a spirit? What’s the difference between a medium and a channeler? What are intuitives, empaths, and sensitives? How can I tell if a psychic medium is real or a fake? Can I choose which loved ones in spirit come through in my reading? I had a reading with a psychic medium, but my deceased loved one didn’t come through. What does this mean? Can I prevent certain people in spirit from coming through in my reading? How long should I wait after someone has passed before getting a reading with a psychic medium? What should I expect in my reading with a psychic medium? Is there a difference between an American and a British psychic medium? Are evidence-focused mediums better than other mediums? Are there schools for psychic mediums? Are certified psychic mediums better? Is there a code of ethics for psychic mediums? Are famous mediums better than nonfamous mediums? What’s the purpose of psychic medium readings? My reading was terrible! Was I scammed? I was given predictions about my future during my reading. Are predictions accurate? What are the most common messages that come from loved ones in spirit in a reading with a psychic medium? Why don’t psychic mediums accept the skeptics’ challenges that offer monetary rewards for proving what they claim to do? What are psychic medium demonstrations? What’s the purpose of psychic medium demonstrations? What happens in the afterlife to people who take their own life (suicide)? What happens in the afterlife if someone commits suicide due to a mental illness or addiction? What happens in the afterlife if someone purposely took drugs but accidentally overdosed or purposely drove while drunk but accidentally got into a fatal accident? What happens to criminals and murderers in the afterlife? Do criminals and murderers meet up with their victims in the afterlife? What happens in the afterlife when someone kills another due to a mental illness or addiction? What happens in the afterlife if someone took another’s life by accident? What happens to soldiers who kill others in war? What’s the connection between past lives and reincarnation? What evidence is there for reincarnation and past lives? How long do we wait while in spirit before entering another human life? Do we really chart our lives in spirit before we’re born? Might my deceased child come back to me as my next child? What is a past-life regression? Can anyone be hypnotized for a past-life regression? How does a past-life regression differ from a psychic telling me about my past lives? How does one know which lifetime we’ll revisit during a past-life regression? Might one visit the same lifetime in two or three regressions? If we live multiple lifetimes as different people, how will I recognize my loved ones in spirit during a reading or when I die and go to the spirit world myself? How do we choose which personality from our various human lifetimes to be while in the spirit world? Who determines what souls become our relatives and friends in each lifetime? Do we have pre-birth agreements with other souls? If we chart our lives before birth, how much of our lives are set in stone and destined to occur? What happens to the soul after a miscarriage, stillbirth, or abortion? Do we have to reincarnate again, or do we have a choice? Is there such a concept as a soul mate? What is the purpose of past-life regressions? What if I experience a traumatic past life during a regression? How can I process my past-life regression if I have questions, confusion, or some type of negative emotional response? 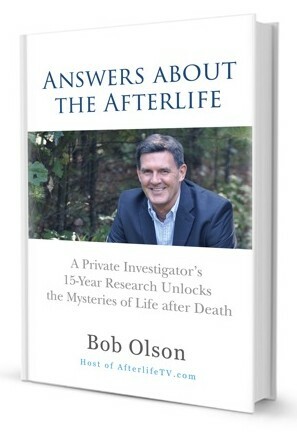 How can I prepare for a successful past-life regression? What are the most common stages one goes through during a near-death experience (NDE)? Why do some people have a near-death experience and others do not? Why do some people claim to have experienced going to hell in their near-death experience? What makes children’s near-death experiences especially interesting? Who decides that a near-death experiencer must go back to his or her physical life? Do people who have had near-death experiences know everything about the afterlife? Is a near-death experience a positive life-changing experience?